It has been a very long time since I’ve written to you friends! A lot has changed in my world and I’m eager/scared to get back into posting regularly. Eager because sharing and communicating with you really lights me up; scared because I’m trying to push my personal boundaries and get uncomfortable, which putting myself “out there” more intimately definitely makes me. Cheers to facing fears! It’s been a good two years since I wrote for this blog. (Alyssa has been rocking it for us in the meantime!) I felt like a failure when, after preaching how to conquer mental illness, it consumed me wholly and completely, dragging me down to its depths. Time off work and medication didn’t do the trick, the exhaustion overpowered my will and desire to pursue healing, and I gave in to the darkness, settling in defeated. I felt like I’d failed myself and the people I was hoping to inspire. But hindsight is seriously 20/20 guys! Skip over a very rough pregnancy, a preemie baby, 11 months of sleep deprivation, and 3 months of crawling back to sanity and here we are now. I have a feeling that most of you have heard about tiny houses. Once a small, fringe community, the tiny house movement has gained a huge amount of interest in the social media and blogging worlds, and has even spawned TV shows and documentaries. I’ve been a fan of the tiny house movement for years, and I’m not surprised to see how much interest has been generated over the ultra minimalist community. Actually living in a tiny house may be too extreme a version of simple living for most, but the movement has managed to strike a chord with people from all kinds of backgrounds and current housing situations. Don’t think that the tiny house movement is simply about a race to the bottom in square footage. 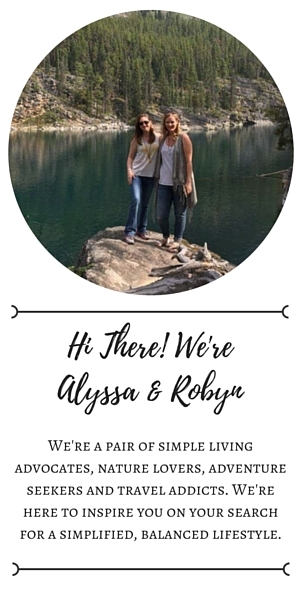 At its heart, it’s about people wholeheartedly embracing simple living and minimalism and freeing themselves from mortgages, debt, and the physical trappings of day to day life. Has the term ‘responsible travel’ landed on your radar lately? Also known as ‘sustainable’ or ‘ethical’ travel, it’s a concept that’s becoming an important consideration for many travelers when planning their adventures. I travel for the same reasons most people do; an interest in other people and cultures, a love of nature and wilderness and a deep desire to experience far off places. Like most travelers, I don’t want to cause any harm to the communities or ecosystems I travel through. That’s the simple idea behind the responsible travel movement. It’s about recognizing that our travels have an impact. It’s about striving to minimize that impact by being mindful of our choices while on the road.